Thus far in our “Hidden Histories” series, we have examined Jewish subjects by non-Jews in Russian art, and Jewish subjects in Russian art by one of their own – Mark Antokolsky. This next installment examines patronage of Fabergé by an internationally prominent Jewish family, the Rothschilds. Renowned for their wealth and prestige, the Rothschild family had humble beginnings. The dynasty’s founder, Mayer Amshel (1744-1812), reached beyond the confines of the Frankfurt Jewish ghetto by establishing a coin business catering to wealthy collectors from the surrounding principalities. He later opened a money exchange, which became the first Rothschild bank. Mayer Amshel’s five sons would later disperse across Europe, establishing an international banking family. The family had an extensive interest in the arts, and its members were among the greatest collectors of the nineteenth century, furnishing their homes with a range of historically important art and antiques. 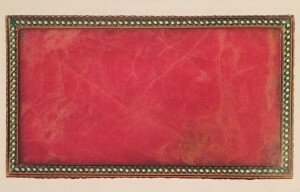 These collections encompassed seventeenth and eighteenth century paintings and eighteenth century French decorative art. The homes housing these collections, consisting of large estates in a range of styles throughout Europe, left quite an architectural legacy. One such famous estate is Waddesdon Manor, now owned by The National Trust of the UK, where some of the Rothschild collections remain on view. The Rothchilds also had an eye for Fabergé and, next to the British Royal family, were among the Fabergé London shop’s most important clients. All members of the famous dynasty patronized the firm, and purchased the majority of their pieces in London. The Rothschild family developed a close relationship with Henry Bainbridge, the manager of the London shop, resulting in custom Fabergé pieces in accordance with their tastes and familial emblems. Bainbridge intended them to be gifts exchanged within the family, but the Rothschilds presented the majority of such items as gifts to others. 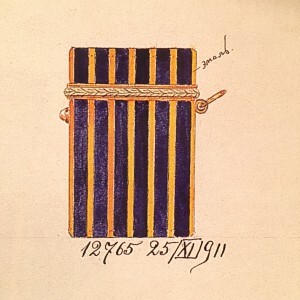 One manner of customization was enameling pieces in blue and yellow, the Rothschild racing colors. 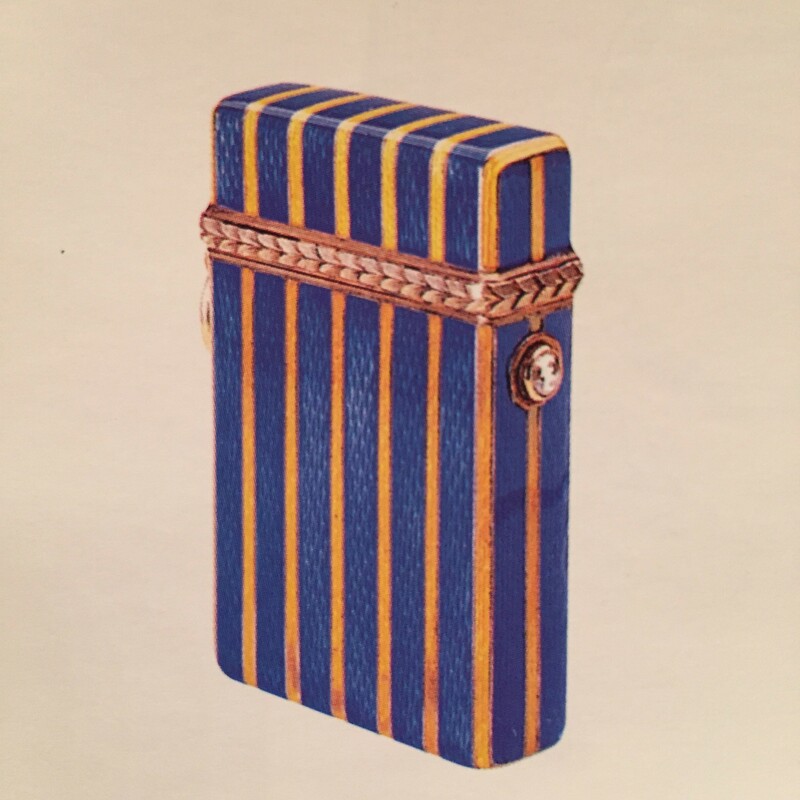 One such object is a gold and diamond-set match case, illustrated below with its Wigström Workshop drawing, and now on view among the other treasures A La Vieille Russie is exhibiting at London’s prestigious Masterpiece fair. Not all Rothschild-owned Fabergé pieces bear their iconography. 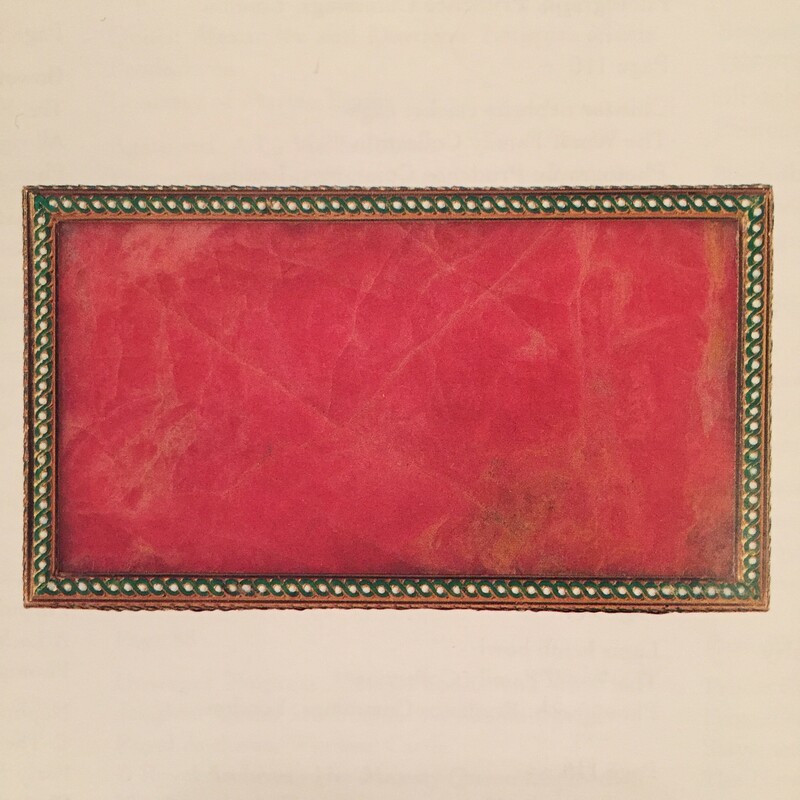 The family’s taste was not limited to customized objects, as evidenced by such works as a gold and enamel rhodonite box (detail pictured below), a Louis XV style sedan chair, a bonbonnière, and a Rothschild portrait brooch. From seventeenth century art to Fabergé, one can confidently declare, the Rothschilds had excellent taste! Comay, Joan, and Lavinia Cohn-Sherbok. Who’s who in Jewish History: After the Period of the Old Testament. New York: Routledge, 2002. Habsburg, Géza von, Marina Lopato. Fabergé: Imperial Jeweler. New York: Harry N. Abrams, 1994. McCarthy, Kieran. “Fabergé and the Rothschilds,” in The Rothschild Archive, Review of the Year April 2004 to March 2005, London: 2005, pp. 33-41. Tillander-Godenhielm, Ulla, Peter L. Schaffer, Alice Milica Ilich, and Mark A. Schaffer. Golden Years of Fabergé: Drawings and Objects from the Wigström Workshop. New York: A La Vieille Russie, 2000. Waddesdon Manor. Accessed June 25, 2015. http://www.waddesdon.org.uk/.